My obsession and love for Traverse City is very evident in the features I write, however, it is impossible not to become overwhelmingly giddy with excitement as new additions continue to make this town the most fabulous place on the planet. With a hopeful opening date of May 12th, a new dining experience known by the name of “The Franklin” will open its grand doors in downtown Traverse City. Northern Michigan’s food, wine, beer, and spirit cultures are raved about all over the world, and from the sounds of it, The Franklin is up to the challenge of being among those most talked about. 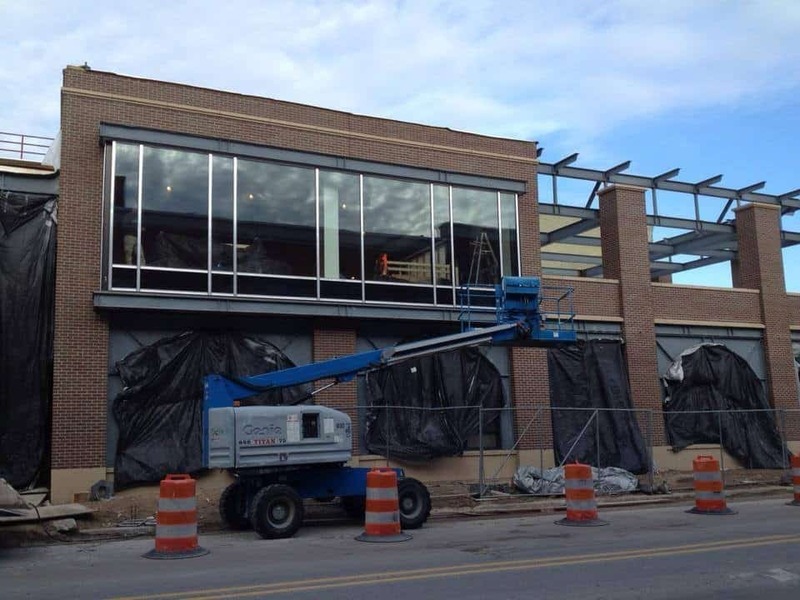 If you have been in the Traverse City area at all this last winter, you may have wondered about the building going up at the corner of Front Street and Cass Street. That, my friends, is the wonderful Franklin. This restaurant will consist of two floors, with the second floor being where the real magic happens. There will be 40 indoor dining seats and 100 outdoor seats, all of which overlook the loveliness that Cass and Front have to offer; not to mention the extravagant Grand Traverse Bay. The views alone will be absolutely smashing, however, what is a dining experience without food quality? As luck would have it, The Franklin is run by Trattoria Stella‘s proprietor, Paul Danielson. This means the menu and food are prepared by Chef Myles Anton and Gabe Rodriguez. Naturally, there is a heavy focus on Michigan’s top meats, cheeses, and produce items; however, there will be additional worldly specialties. These concoctions include Chef Rodriguez’s specializations in the Japanese, French, Latin, and Italian cultures. Currently, Amanda Danielson is the proprietor and sommelier of Trattoria Stella, and she will bring her talents to The Franklin. Danielson will be introducing 20 taps of beer for customers to choose from. Additionally, a specialty cider and two local, custom-blended wines will be available exclusively at The Franklin. And of course, the local spirits must be mentioned. Hand-crafted, uniquely made cocktails will be served up by one of the many talented bartenders that The Franklin is presently in the process of hiring. For all of the finer details, keep your eyes on The Franklin’s website and Facebook page. Spring has finally arrived, dear friends, let us welcome it with great food served on a patio overlooking this beloved town. Tagged The Franklin, Trattoria Stella, traverse city.